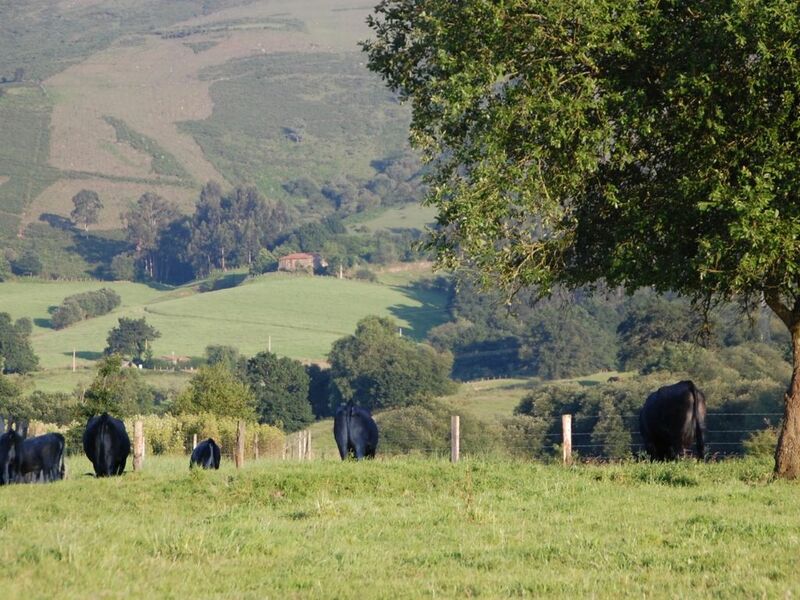 The rural houses La Cuadra, La Panadera and La Leñera are located in one of the greenest valleys of Cantabria, the Ibio Valley, in the village of Herrera de Ibio, a place of dreams for its scenic features. Herrera de Ibio, very close to Cabezón de la Sal, is a lively, rural town, you can see every day the carts loaded with grass pulled by horses. La Cuadra, has on the ground floor on the left the bathroom, living room with fireplace and TV, dining room, kitchen and porch with barbecue, on the first floor has double room, living room with TV and sofa bed, double room with 1 bed , 60cms and terrace. Next to the main door is the pilgrim's room, with toilet, this room is on the outside of the house, door to door. La Panadera, 157 m2 is rehabilitated with traditional materials. On the ground floor it has a kitchen, bathroom and large living room with fireplace. On the upper floor has a large double room, with a bed of 1.60 cm, a double room, with 2 beds of 90 cm., A living room with 4 beds and a toilet. It also has a garden of 100 m2 with furniture to enjoy it and barbecue. La Leñera is a rural loft, has a bathroom, kitchen, dining room and living room with pellet stove and tv on the ground floor, up like a corrala, the entire floor is surrounded by a wooden railing, has 2 dormitoiros with sloping ceilings . Minimum rental in bridges 4 nights.